Want to quickly see how the open-source software CMSQLite works? You'll find a free and updated demo installation of CMSQLite here. 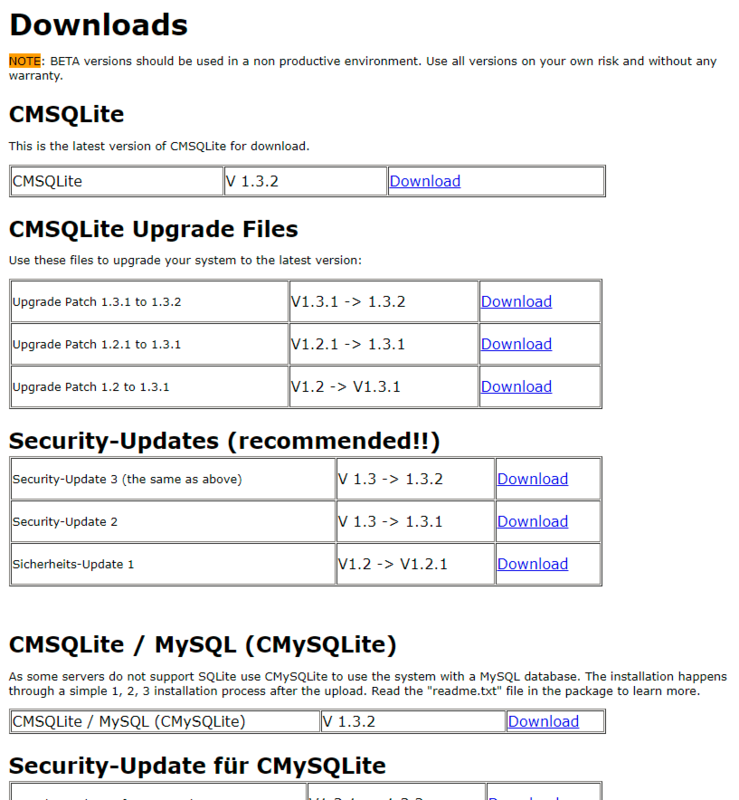 We are currently updating the CMSQLite demo. Please check back shortly. There will be a new version up soon. CMSQLite is a free content management system aimed at freelancers, associations and small companies, developed using PHP and SQLite. Some examples of features include the CKEditor, multi language support, simple admin dashboard and media manager. Because it’s based on SQLite, CMSQLite requires little technical preferences for the server and offers simple database backup. Any CMSQLite demo can be customized through templates and its features can be extended through modules. Our CMSQLite demo will show you how the admin interface and frontend looks like. The latest version available for download is 1.3.2 and was released on August 12, 2010. CMSQLite is no longer being developed or maintained.